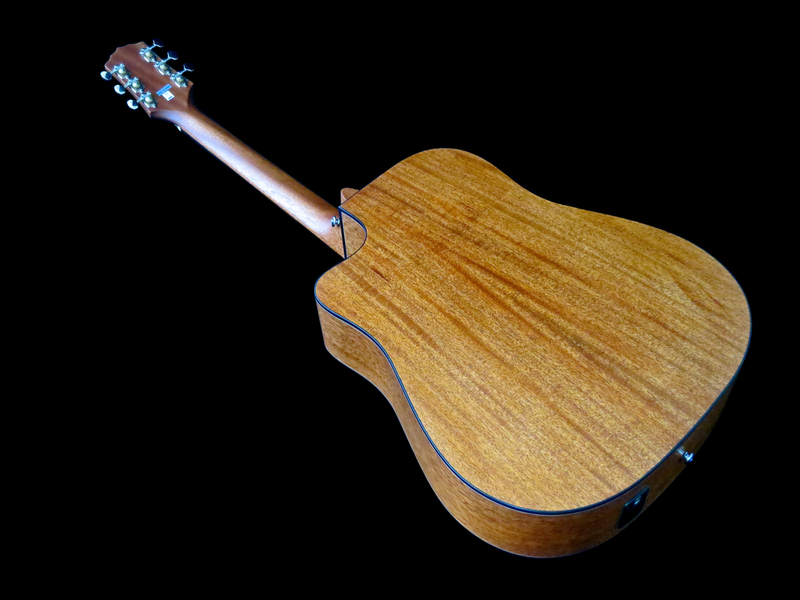 Juha Ruokangas: Why do handmade guitars cost so much? 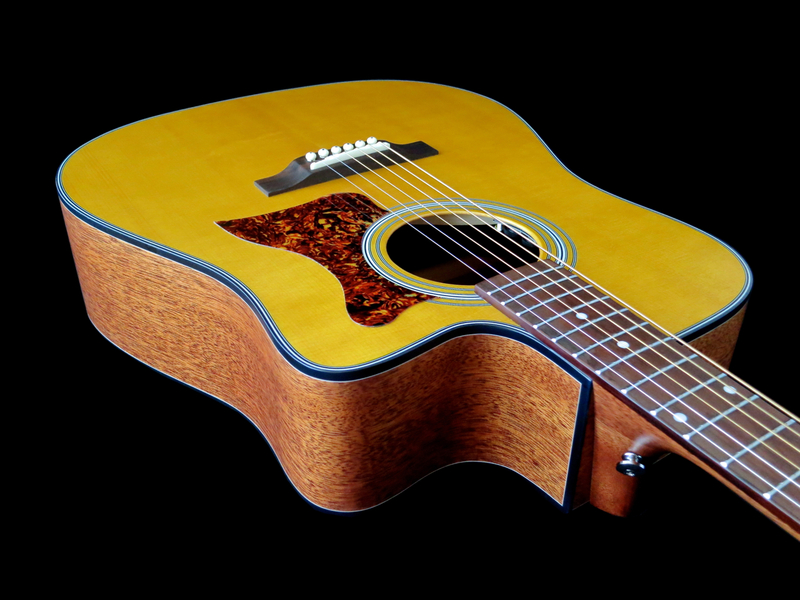 Looking back, only 20 years ago an instrument’s country of origin tended to tell you much about its quality. 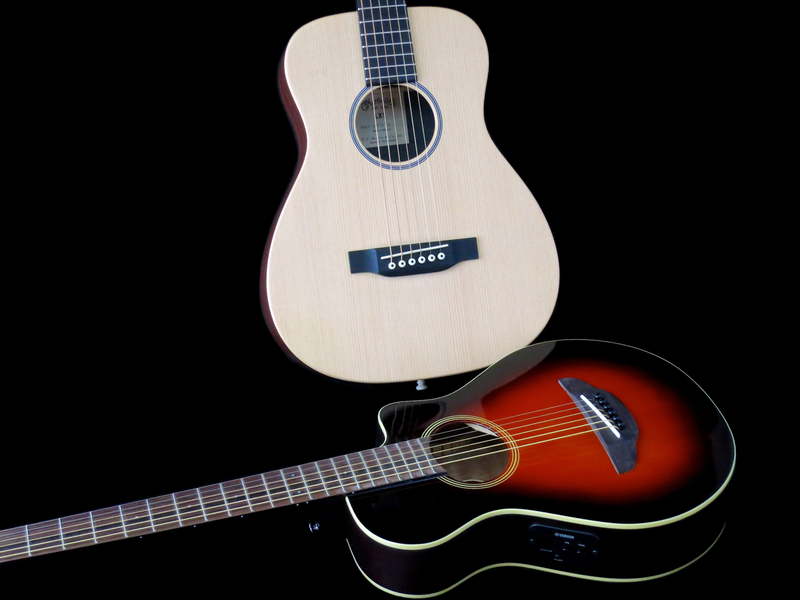 American, European and Japanese guitars were ruling the roost, while Chinese instruments were clearly only meant for the entry-level market. 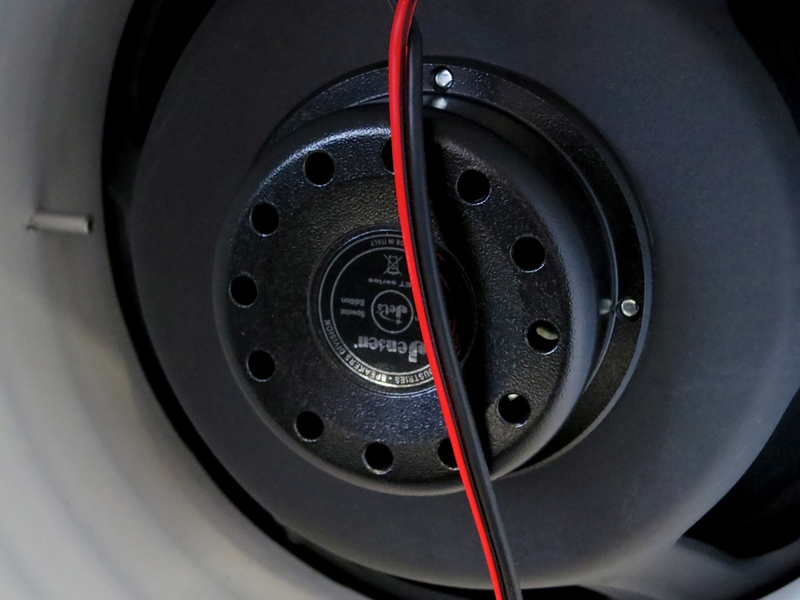 But not anymore: These days it’s all about decisions regarding an instrument’s price point and specifications, while the country of origin seems to lose much of its importance. It’s all about building methods and quality control, and less about geography. 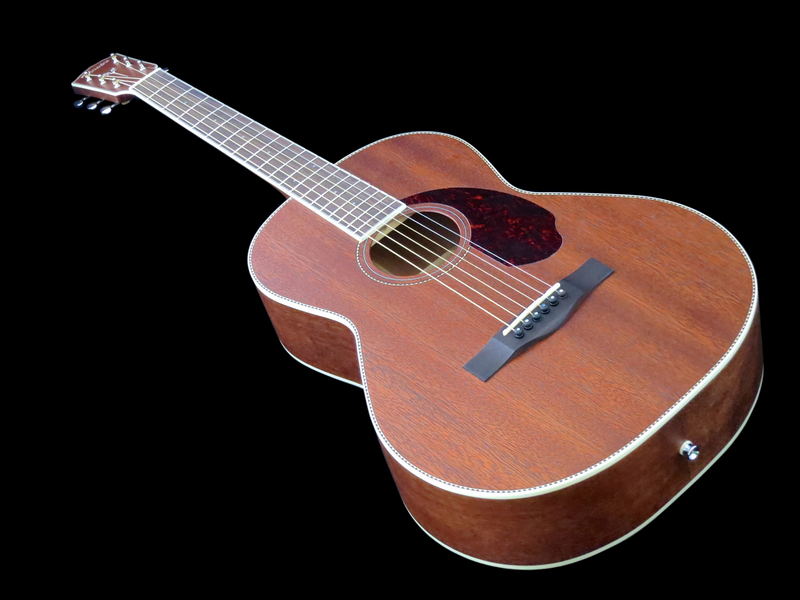 The brand-new, all-mahogany member of Fender’s Paramount-series – the Fender PM-2 All Mahogany (price approx. 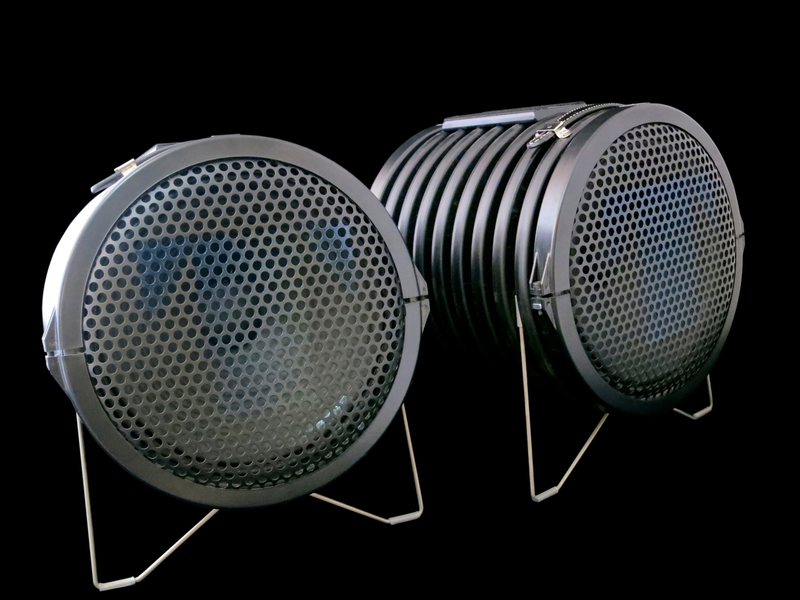 580 €) – is made in China to the highest quality standards. 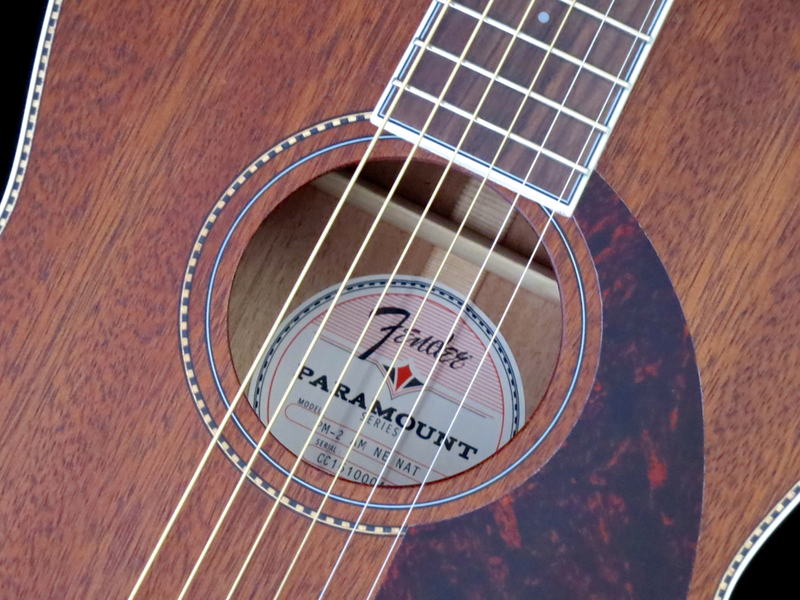 Fender’s Paramount PM-2 AM is a parlour-sized steel-string acoustic (similar in size to C.F. 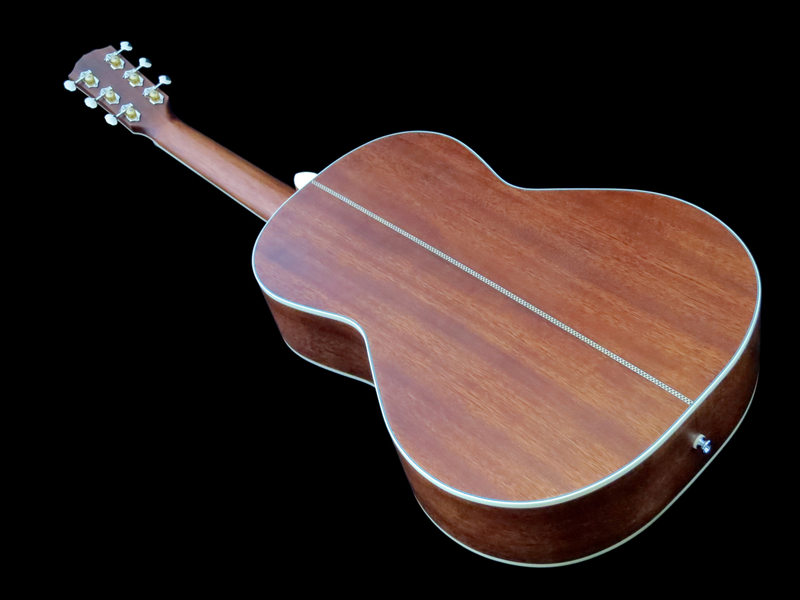 Martin’s size 00) with a 12th fret neck joint. 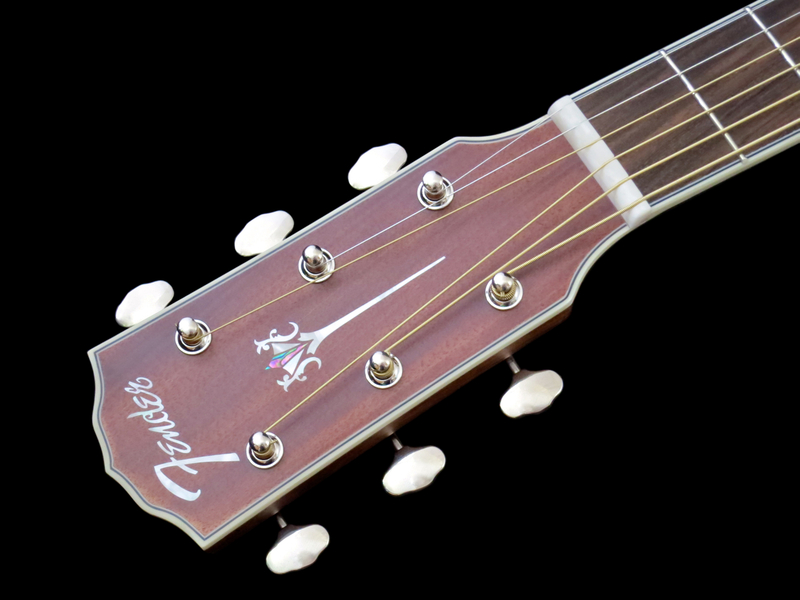 Many acoustic guitarists claim that a 12-fret neck makes a guitar sound fuller and warmer, compared to a similar 14-fret neck guitar. This is probably thanks to the ”unsupported” part of the neck being shorter, and the body being slightly longer. 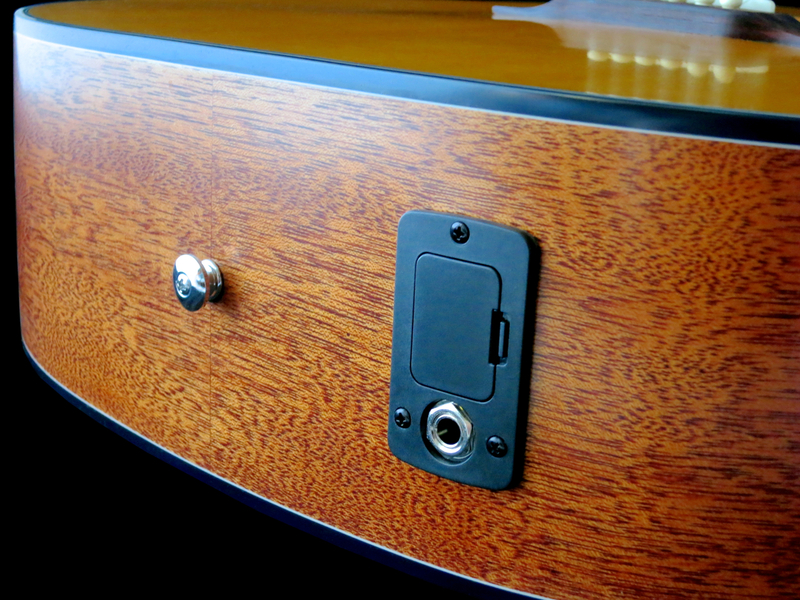 The whole soundbox has been crafted from beautiful solid mahogany. 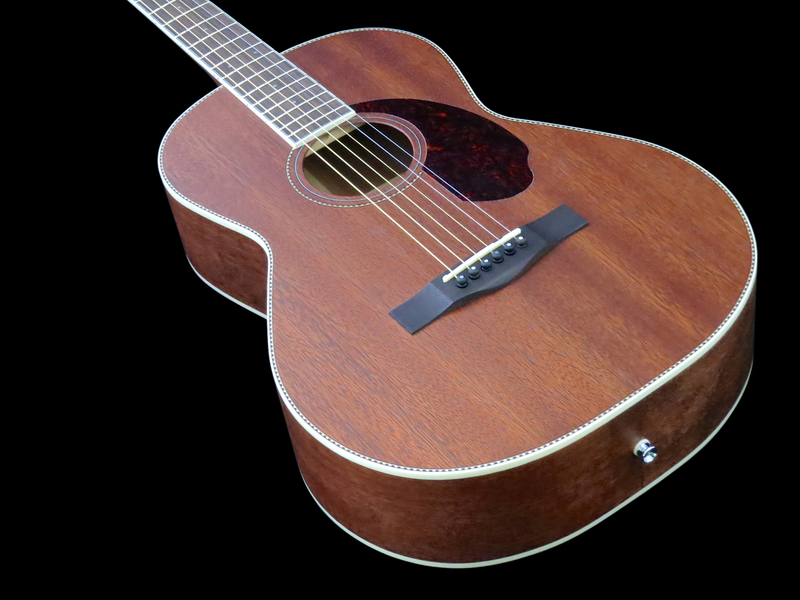 The PM-2 All Mahogany sports a traditional dovetail set neck joint. 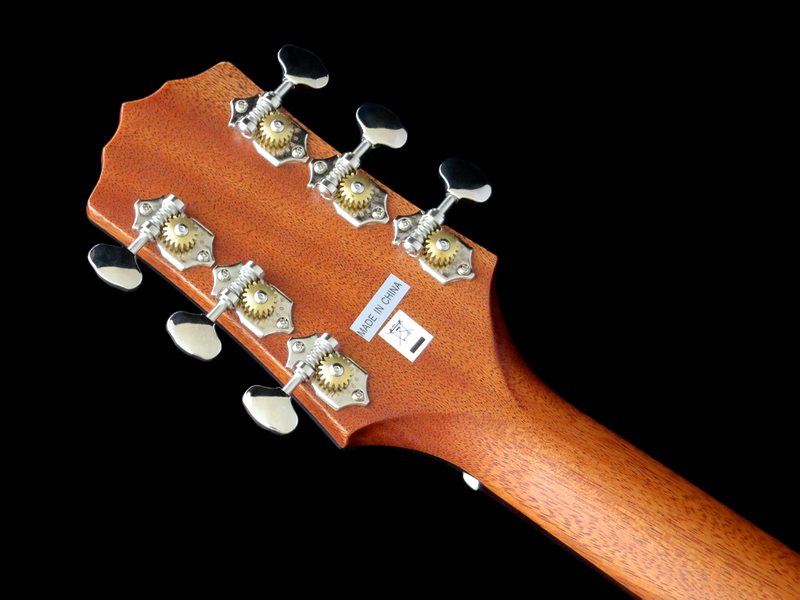 The mahogany neck is one solid piece, save for a little glued-on bit, used for the neck heel. 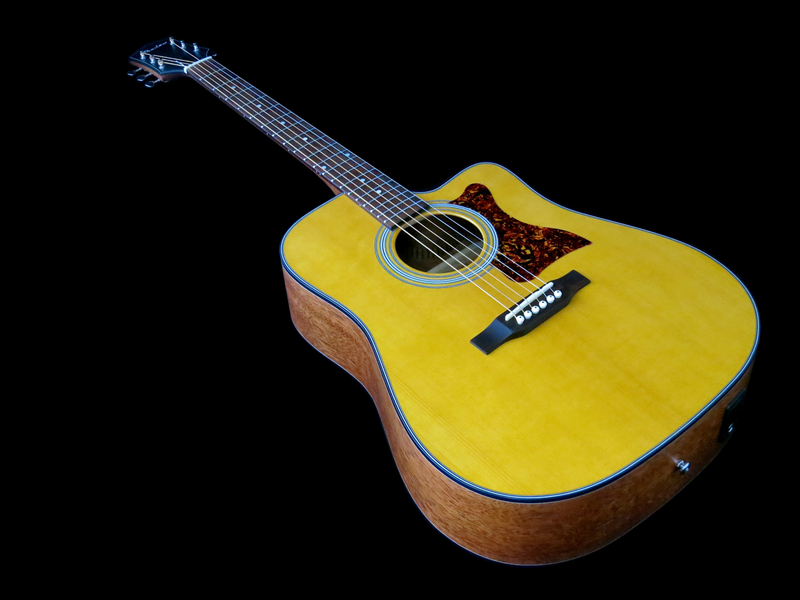 Fender has chosen high-quality replicas of vintage open tuning machines for this Paramount. 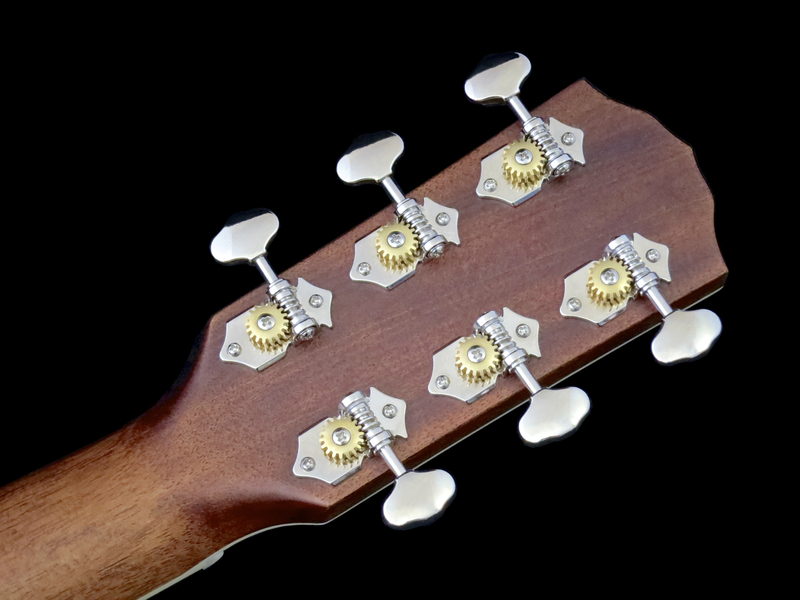 Genuine bone is used for the PM-2 AM’s top nut and compensated bridge saddle. 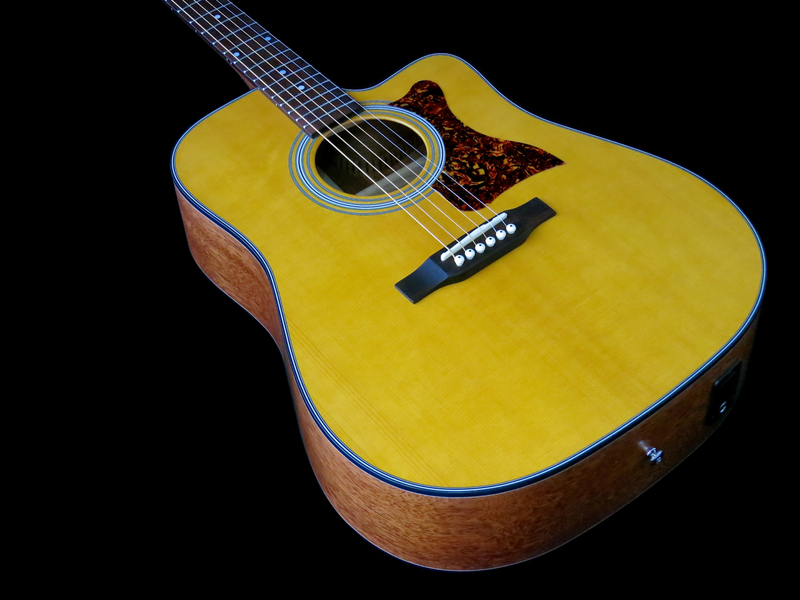 Fender’s new model comes with a very thin satin finish, which gives the whole instrument a sensuous, natural open pore feeling. 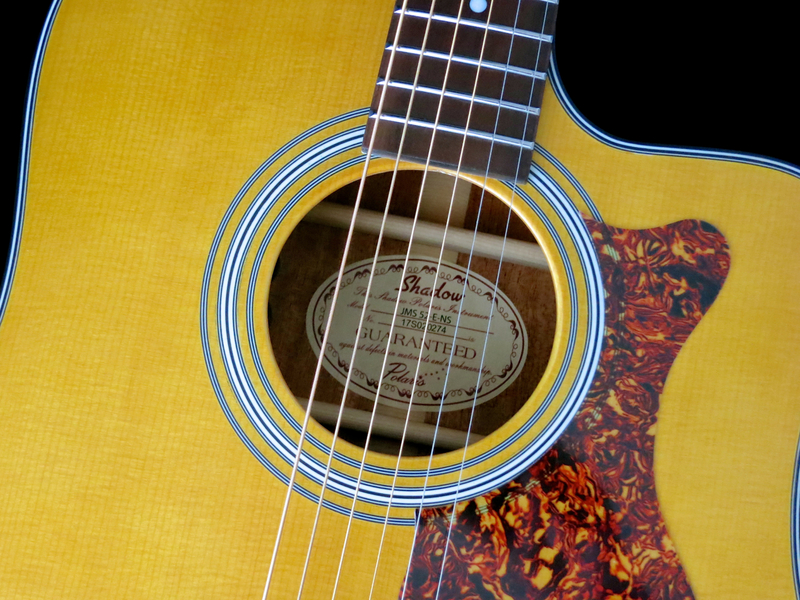 …and the checkerboard theme also continues in the guitar’s rosette. 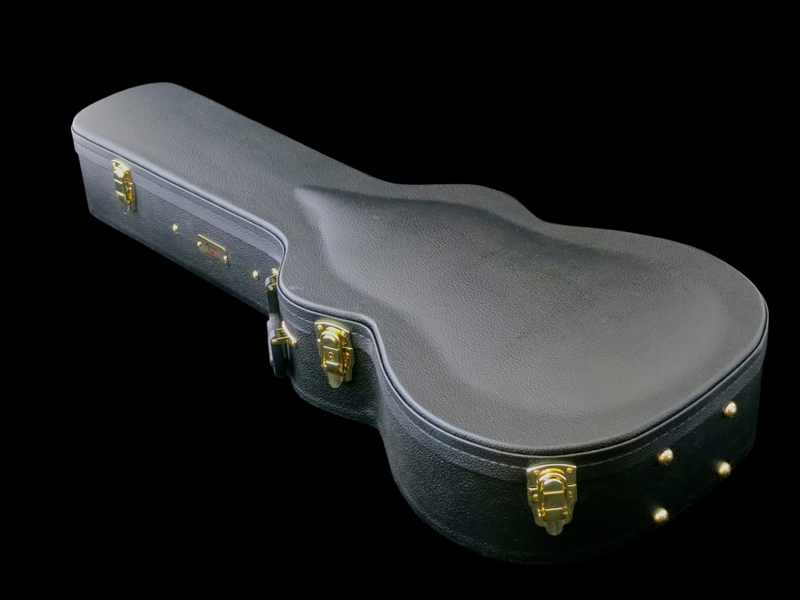 Fender’s Paramount PM-2 AM is sold with a high quality case. Even though this Paramount-parlour clearly draws a lot of inspiration from vintage guitars from the 1920s and 30s, Fender has luckily added modern playability into the mix. 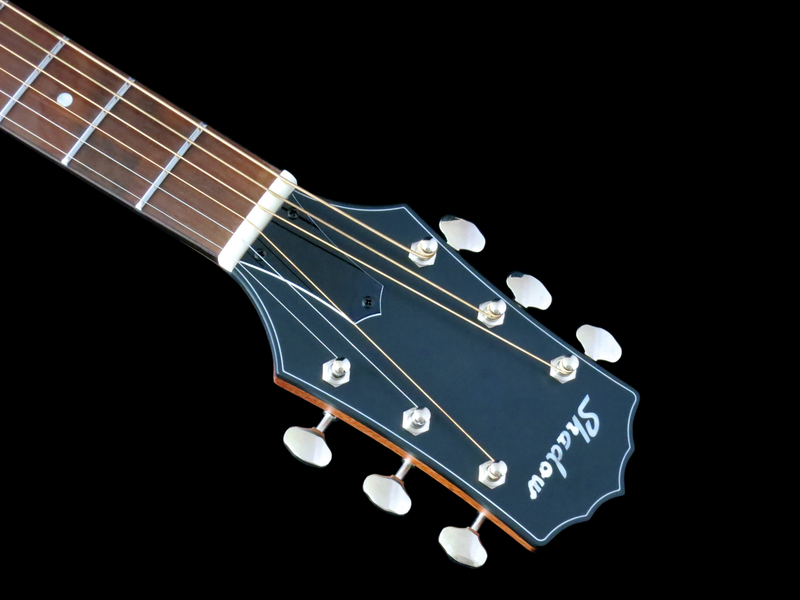 The neck profile is modern – instead of a Thirties-style big V-neck the Paramount comes with a player-friendly, slightly flattened C-profile. 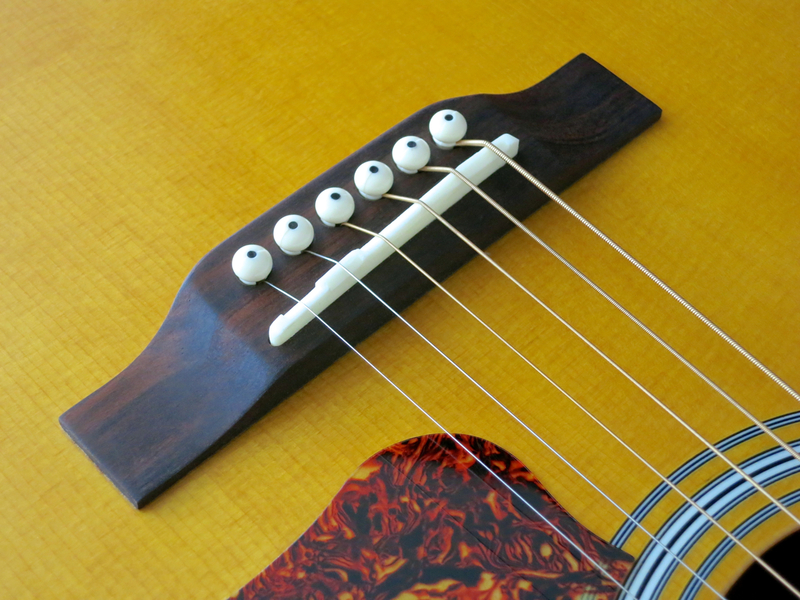 The frets are narrow, and the fretwork is excellent. 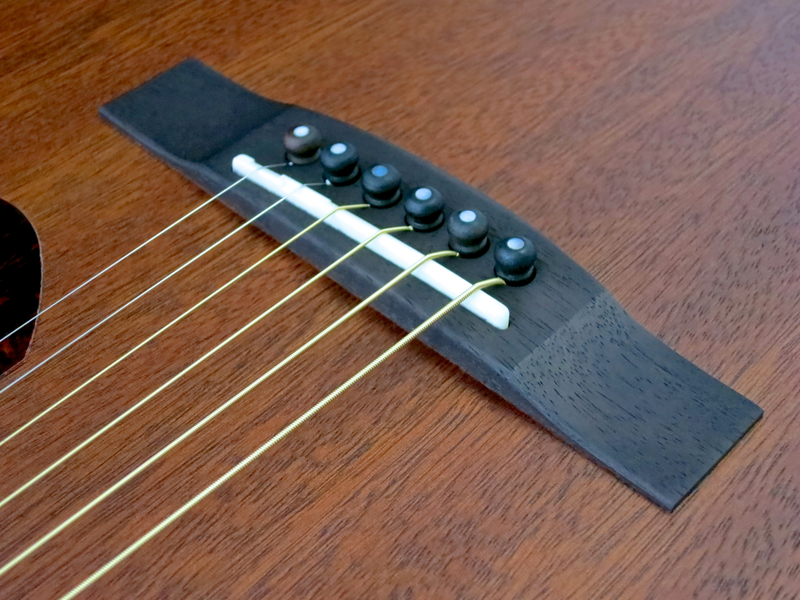 Our review sample of the PM-2 All Mahogany came with a first rate set-up. 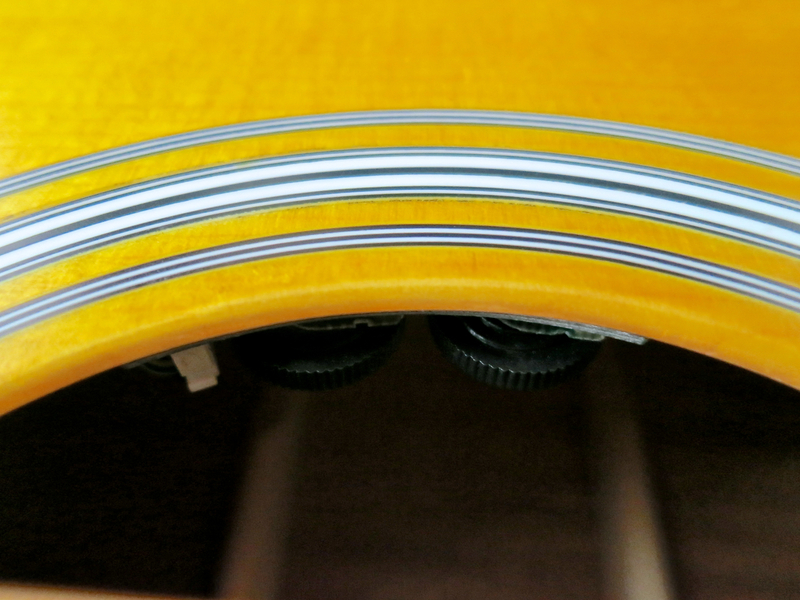 The action at the 12th fret measured 2.1 mm (low-E) and 1.7 mm (treble-e). 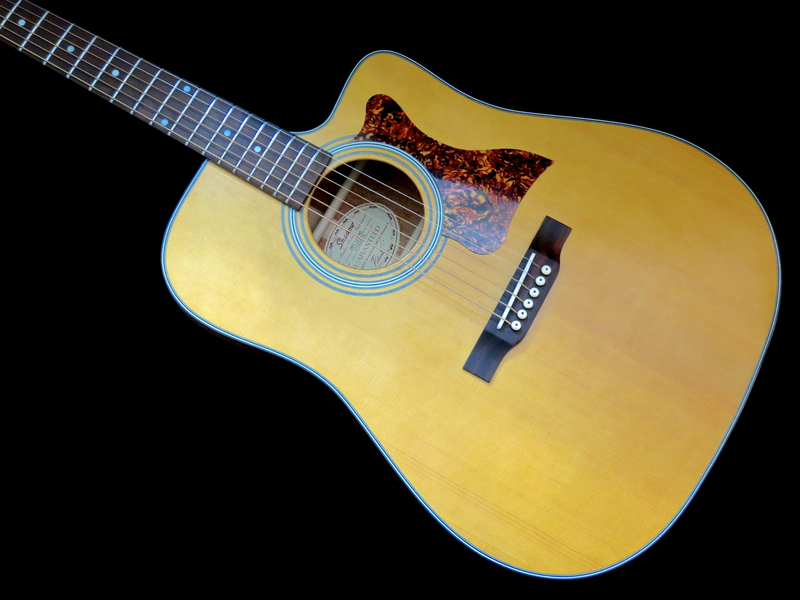 The guitar plays like a dream, without even the hint of annoying fret rattling. 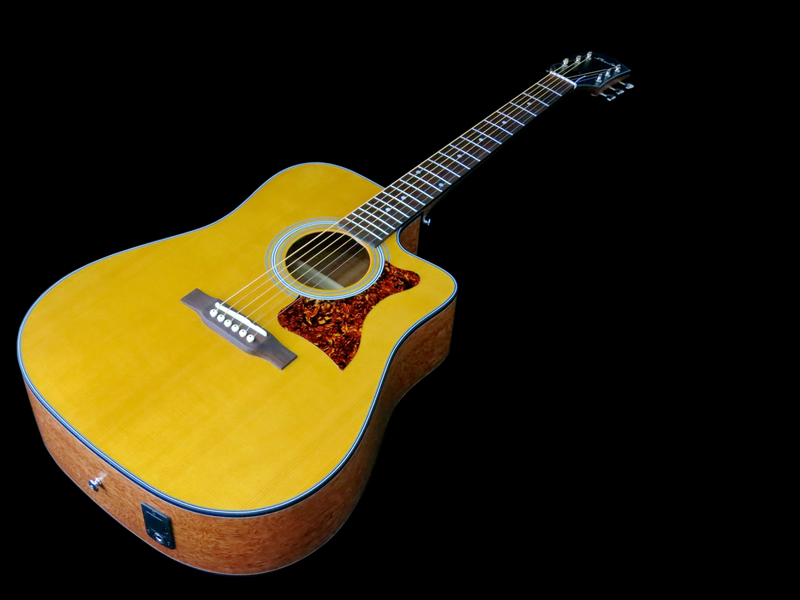 Guitars with a smaller body than the ubiquitous Dreadnought have become increasingly popular over the last decade or so, and there’s a reason for this. 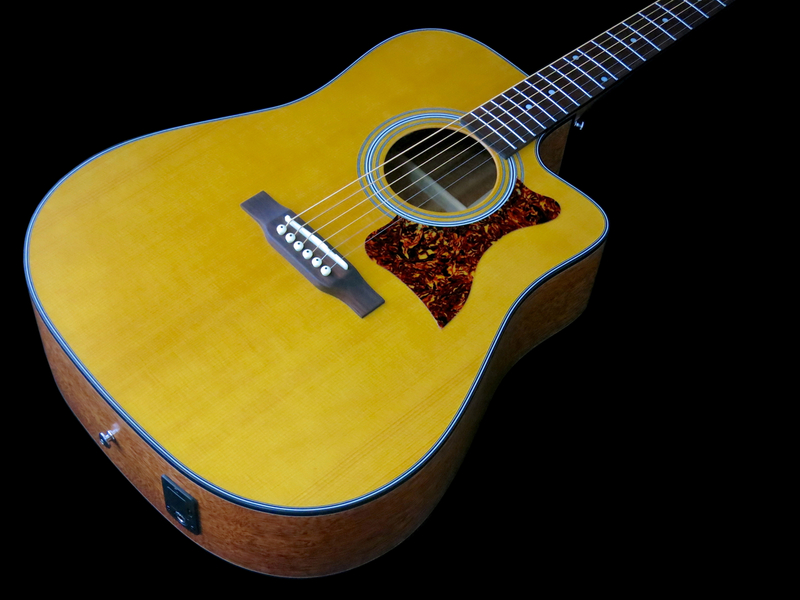 The PM-2 AM’s tighter and cleaner bass response (compared to a Dreadnought) makes it the ideal instrument for fingerstyle players, because of its open and well-balanced sound. 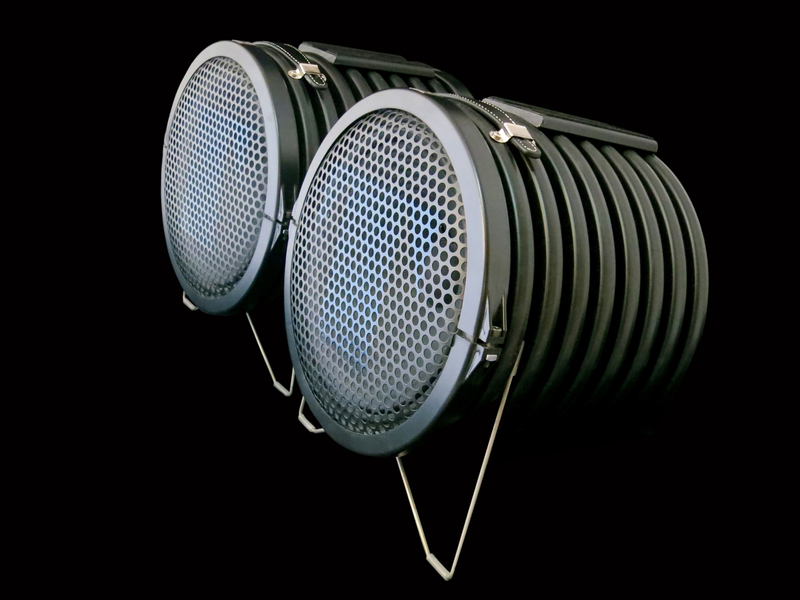 Parlours generally also record very well in the studio, because the lower bass content makes them much easier to place in a busy mix. 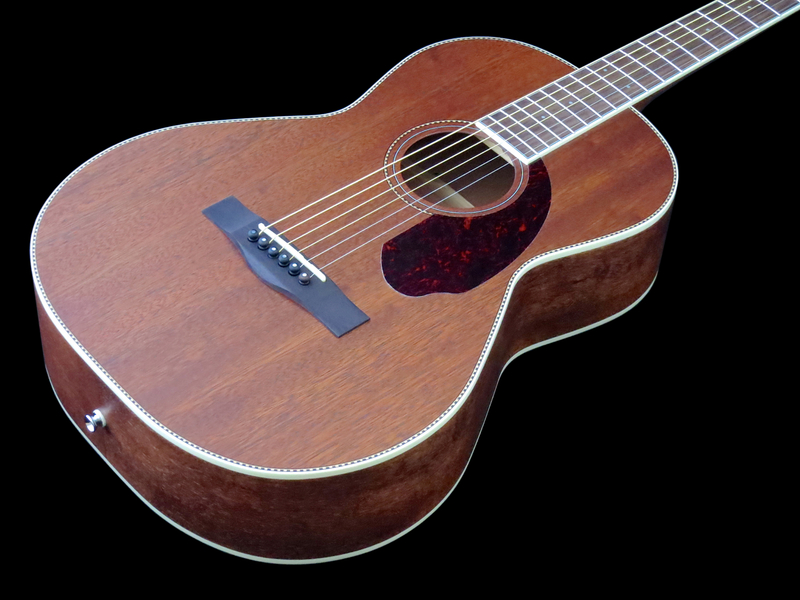 Don’t get me wrong, though: The Fender PM-2 All Mahogany doesn’t sound thin, or puny, or sharp – its voice is beautiful, well-balanced and warm. 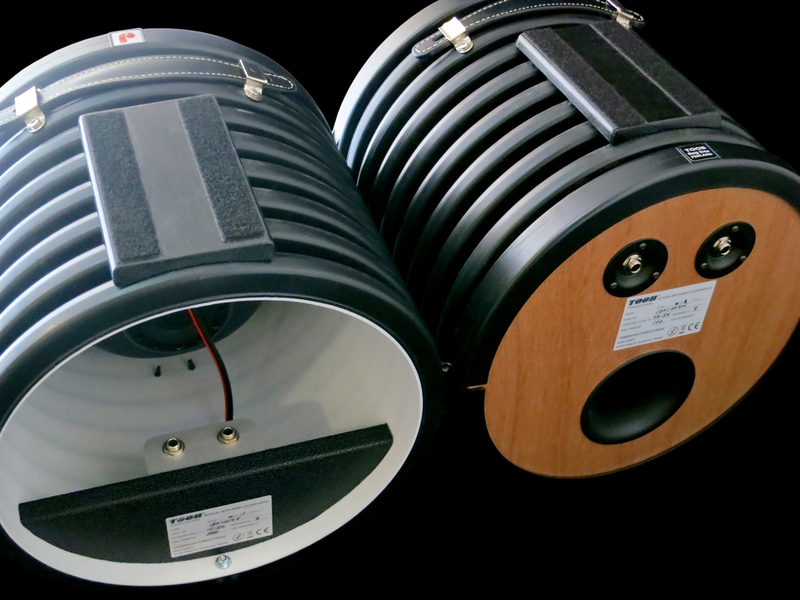 It’s just that the tidier bass response will keep the bass register from swamping everything else, unlike when using certain Dreadnought models. 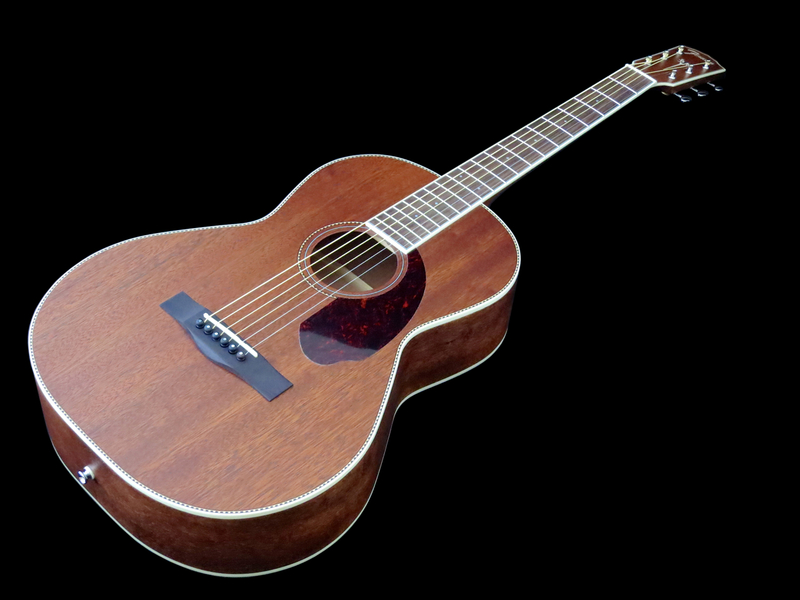 In my opinion the Fender Paramount PM-2 All Mahogany is a cracking small-bodied acoustic guitar! The PM-2 AM is a fantastic player, and it offers you the warm, but open tones, you’d associated with a quality exponent of the 00-size guitar. 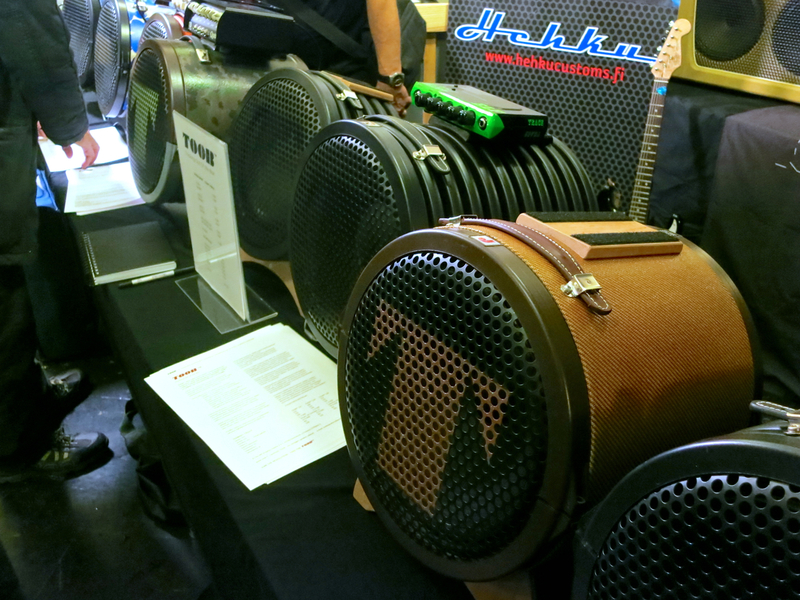 A big thank you goes to DLX Music Helsinki for the loan of the review instrument!